What Are Options and Should I Invest In Them? 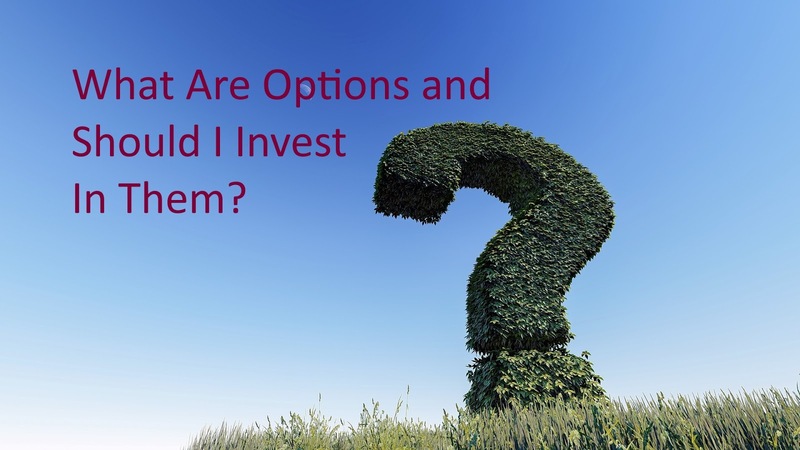 In the investing world, what are options? Simply put, they are contracts that require the holder to buy or sell a certain stock at a certain price on a certain date. For example, right now (Saturday morning, 12:03 CDT) the latest price for one share of AT&T is $34.86. Via Robinhood, I can buy "Calls", which are options to buy AT&T at a certain price, or "Puts" which are options to sell AT&T at a certain price. One example is that I can buy a Call that expires on March 29, 5 days from now, which allows me to purchase 100 shares of AT&T stock for $35.50 per share. This call will cost me $15.00. On March 29, if the market price for AT&T is above $35.64, and I still own that option, I make a profit. I can use my option to buy the shares, and then almost immediately, to sell them (unless I want to own them, in which case I can keep them). If the market price is below $35.64, I lose money, but my loss is capped at the $15.00 I invested. In short, it is possible to lose 100% of my investment, but the dollar amount I risk can be less than if I purchased the stock outright. I can also buy a Call that allows me to by 100 shares of AT&T at $37.00 on January 18, 2019. That would cost me $132.00 In order for me to break even on this option, AT&T would have to go up to $38.32 on January 18, 2019. If the market price is more than that, I make money; less than that, I lose money, but whereas my total gain is hypothetically unlimited, my downside is limited to $132.00. Once you own a Call, you can sell it at any time before it expires. For example, if over the weekend AT&T announced that they had invented a super new type of internet bandwidth that was going to revolutionize everything, and investors reacted Monday morning by bidding up the price of AT&T to $50 a share, people would love to get their hands on my option to buy shares at $35.50, and they'd be willing to pay more for it than what I did. I can sell the option to someone else, and make a profit. The price of call options tends to move in the same direction as the price of the stock. Puts are the option to sell 100 share of stock for a certain price. Right now I can buy a Put that expires March 29 to sell 100 shares of AT&T for $35.00 per share. The cost of that Put is $59.00. On March 29 if AT&T is worth more than $35.00 per share, I can buy 100 shares and then sell them immediately for more than I paid. In order to make a profit (because I did pay for the Put), I need the price of AT&T to drop below $34.42. With this Put the most I can lose is $59 (my investment) and the most I can gain is $3441 (assuming AT&T drops to zero). Like Calls, Puts can be sold at market rates, at any time before they expire. The lower the price of the stock goes, the more valuable Put options become. Why do options trade? What is the point? To make money of course. If I own a stock and sell a call option on it, I collect the sale price. Using the example above, if I had been the originator of that March 29 call option and it originated today, I would collect 15 cents per share for those one hundred shares. At that point, two things could happen. First, the stock could end up below $35.50, in which case I keep my fifteen cents and I can keep my stock or sell it at market price. The other thing that could happen is that it sells for more than $35.00, in which case I have to sell it to the holder of the call for $35.00 per share. Basically I say that in return for getting 15 cents per share now, I am willing to limit my upside. If the stock goes through the roof, you are the one that gets the extra profit. Please note however, that one I (the owner of the shares) sells you an option, you are free to sell it to others. Selling to option to others does not obligate you to provide shares to the person who owns the option at expiration. Options allow investors who own stock to give up some possible profits in return for a known payment. Options allow other investors to invest relatively small amounts of money and to possibly gain a lot. Trading options--buying and selling the options only, and not owning the underlying stock, is a high-risk high-reward (and high loss) way of investing. How Do You Invest in Options? Most brokerage houses allow options trading, though the SEC has more stringent requirements for trading options (which can and often do expire worthless) than for trading stocks. While I have never traded options, my Robinhood account was just enabled for them. I'm going to study the types of trades and the risks involved a while longer before investing. If you would like to get a free share of stock, sign up with Robinhood, an online brokerage firm that charges no sales commissions. If you sign up, we both get a free share of stock. If you are like most people in the country, at some time in the last month or so you have been approached by a cute young salesperson and asked if you would like to buy some Girl Scout Cookies. Make no mistake about it, Girl Scout Cookies are big business for the Girl Scout Councils (local non-profit corporations that recruit and train leaders and girls, provide programming, administer the program locally and own and operate Girl Scout camps). My council gets 2/3 of its revenue from product sales, the overwhelming majority from cookies. 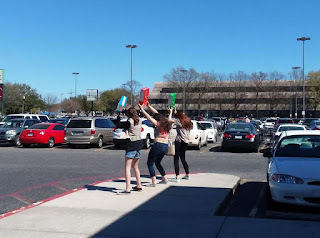 However, cookies are not just fundraising, cookies are part of the Girl Scout program, and much effort has gone into making the necessary evil of fundraising into an educational experience for the girls. Our Financial Literacy program teaches skills that all adults need, particularly in dealing with finances. One of the first things each Girl Scout is asked to do each cookie season is to set a goal. For the little ones, the goal is often a trinket on the prize sheet but when we talk about cookies we talk about things they would like to do and how many boxes of cookies it takes to make that happen. Studies have shown that people with clean financial goals get further than those without them. Having something to aim for gives you direction, and achieving small goals gives a sense of achievement. Even in high-selling troops, cookie money is limited, and the girls are supposed to have a major voice in how it is spent. We sold enough cookies to go to the zoo or to the aquarium, or to have a painting party. Now we have to pick. One of the reasons people get in debt is because they don't make decisions, or at least don't make good ones. They pick the zoo, the aquarium and the painting party, even if they only have money for one. As girls get older they are expected to take on more and more of the financial management of their troops. They learn how much money is spent on un-exciting things like copies, training, or meeting supplies. They learn to budget the cookie money, plan fundraisers, and allocate funds to both needs and wants. The bottom line on budgeting is allocating limited cash, and much of it has to be spent on boring things like the electric bill or insurance. When there isn't enough money for the things you need or want it is time for a second job or a side-hustle of some sort. Another money management skill the girls learn is how to count money. Don't laugh, so many of these girls (mine included) have come up in a world where payments are made via credit/debit card and cash is rarely seen. While being able to count back change may not be as useful a skill as it once was, it is still needed. Talk about a real-life math lesson--and yes, the adults do watch the cash box but the older the girls get, the more they should be handling the money. In order to sell someone cookies, you have to ask. I tell the teens "Make them tell you 'no', often they will decide it is easier to say 'yes'". They notice that while there are people who actively seek out cookies, there are others who don't look at the table until someone says something. Girls learn to talk to strangers, to explain their product and to upsell--"your four boxes are $16, would you like to make it 5 for an even $20?". They learn to say "thank you" or even "thank you anyway". We have girls who really hustle cookie season after cookie season and sell thousands of boxes of cookies. Wouldn't you like to hire one of them for a sales position with your company? The Girl Scout Law says we will be honest and fair, and we enforce that during cookie season. While we upsell, we do not "forget" to give people change, though often they offer that $1 as a donation. 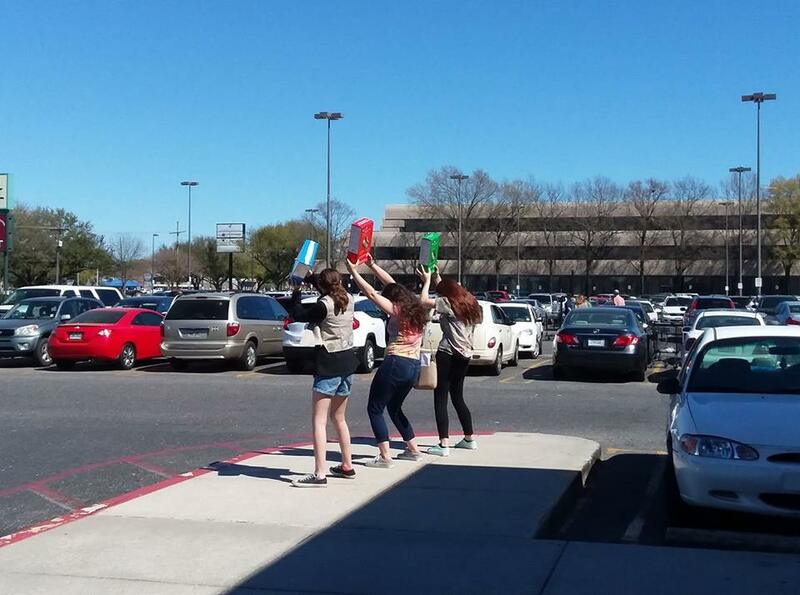 We help our fellow Girl Scouts and we put a lot of emphasis on following the rules. I'm a paralegal and I do criminal defense work for people who can afford to pay big bucks, usually because of success in business. I wonder how many of them wish, after they have need of our services, that they had been more honest and fair, friendly and helpful, considerate and caring? Yes, the girls learn a lot by selling cookies, but I for one am glad cookie season is over for another year--and glad that my daughter's trip to New York this summer will be about 1/3 paid for with cookie money.